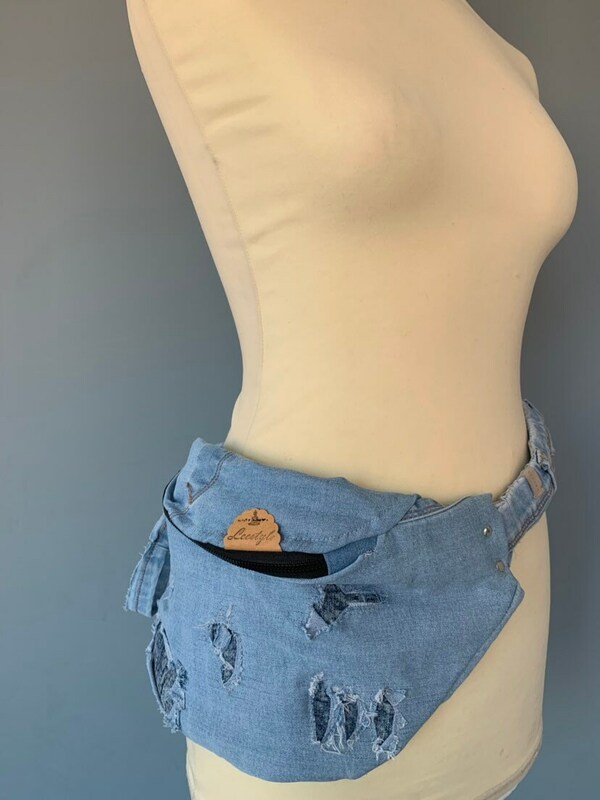 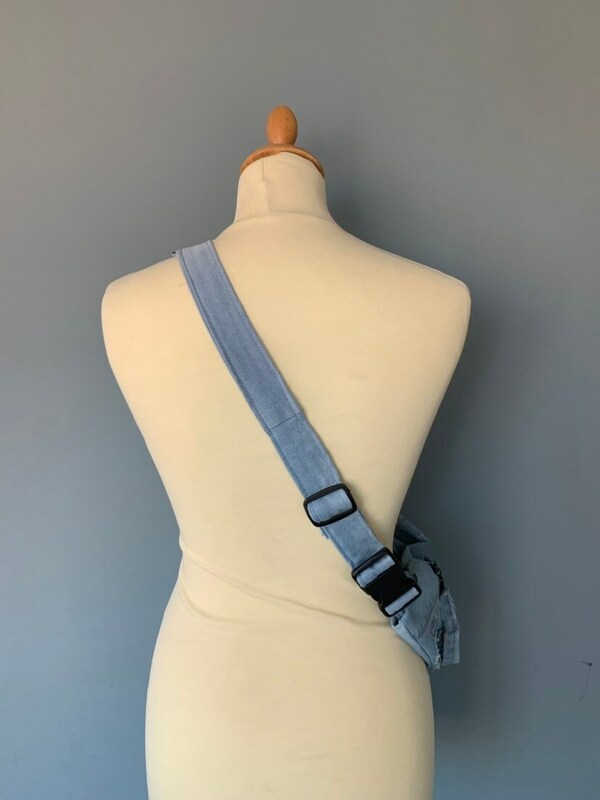 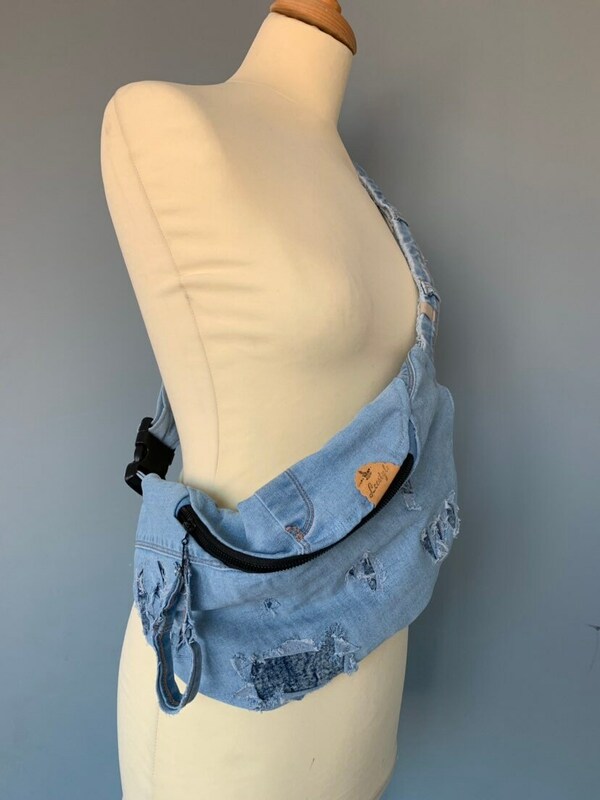 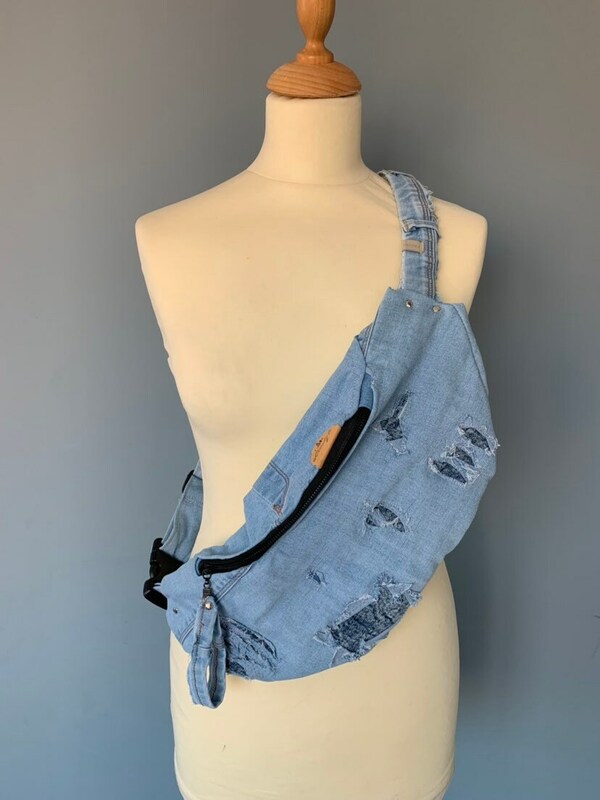 This hip bag is made of jeans. 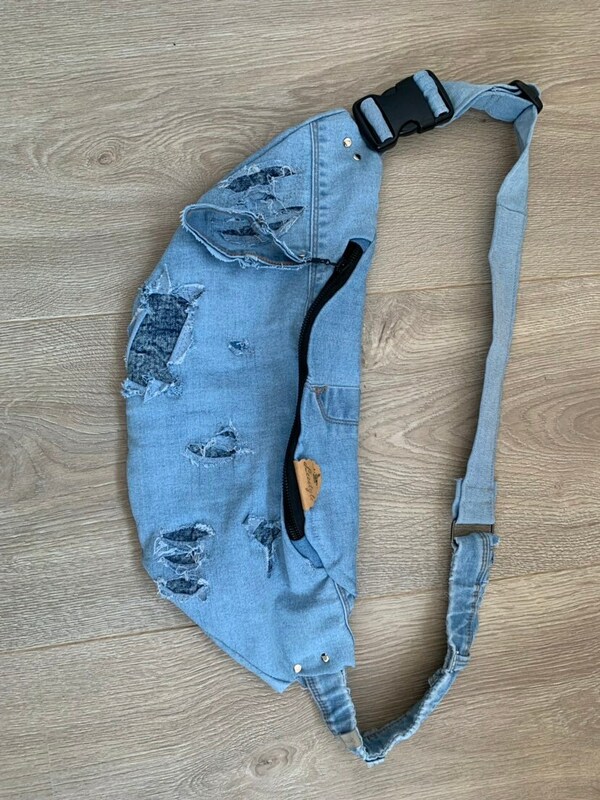 The bag can be worn in different ways, this is shown in the pictures. 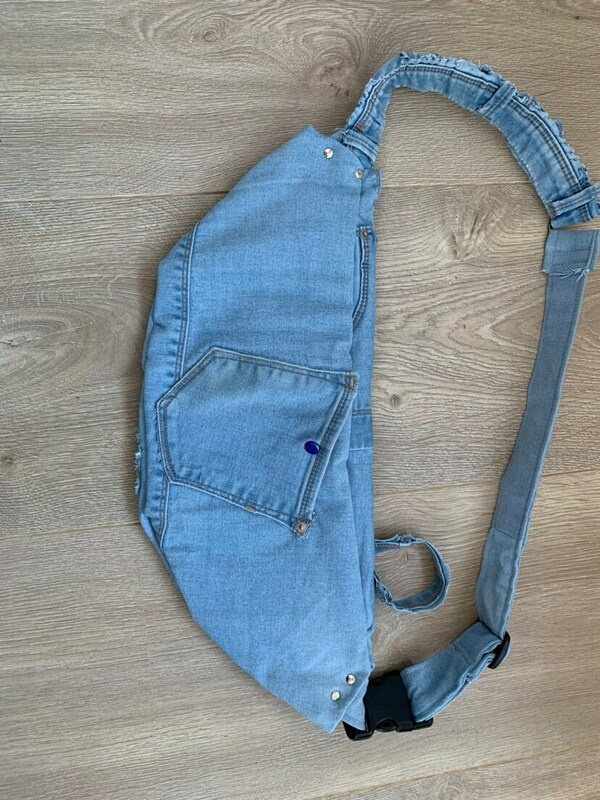 This bag has behind a pocket with push button. 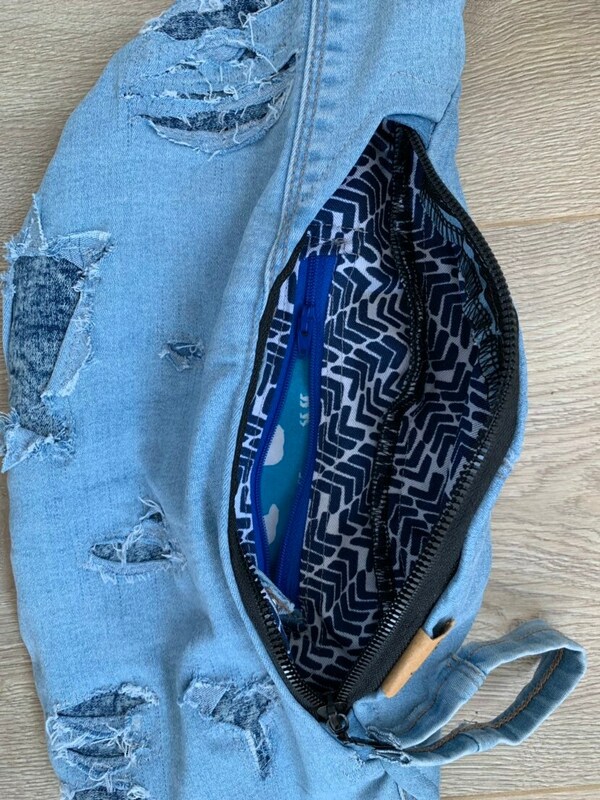 And on the inside two pockets of which 1 with zipper. 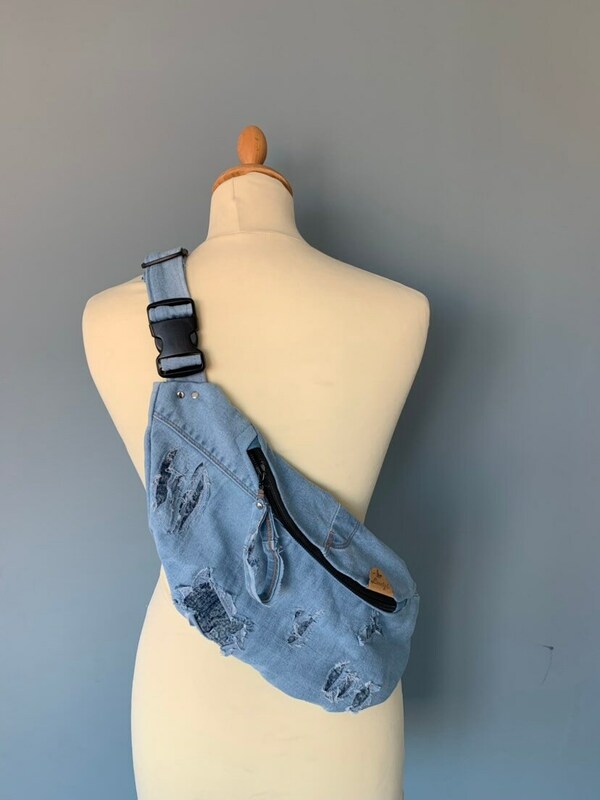 This bag is recycled from a jeans trouser.